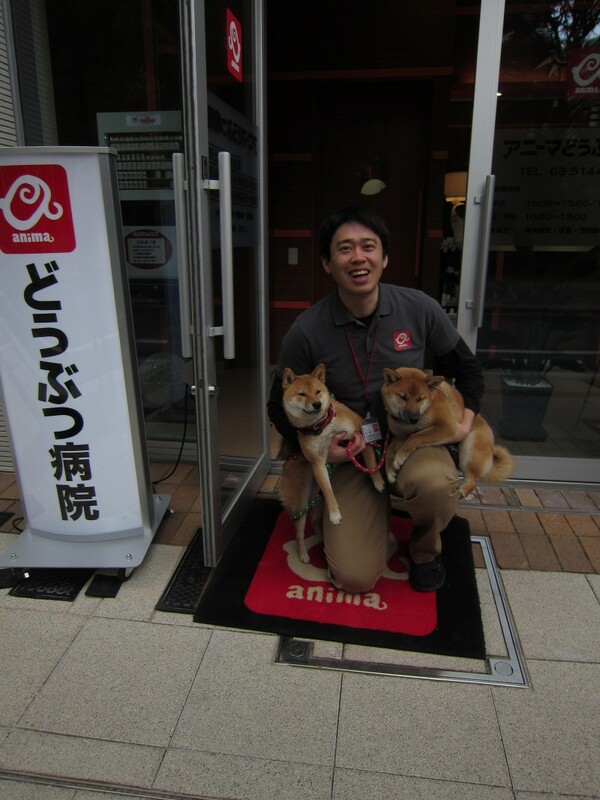 Doctor Chikao Muratani is a veterinarian and owner of Anima Animal Hospital in Tokyo’s Chuo ward. Having worked in the US for years, Muratani is fully bilingual and his spotless and beautifully designed clinic is known as a neighborhood hangout. People with pets are encouraged to pop by weekly for a chat and to measure their furry companions’ weight in order to keep a constant check on their health. Pets are treated to healthy snacks and a bit of playtime. 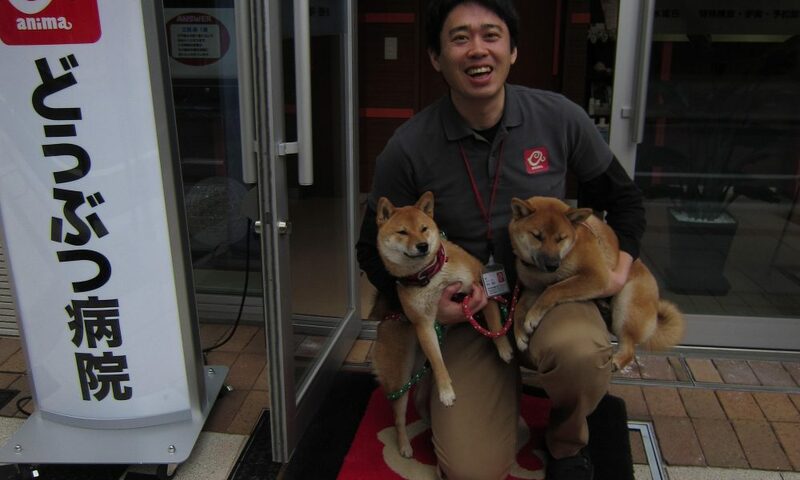 Muratani adores animals and the feeling is mutual: on the streets around his clinic dogs on their daily walks can be spotted whisking their humans to see their friend, who happens to be their doctor, too. Animals are always on our side, even if we are in the wrong. Animals are so innocent. They never betray their human companions and even if they are hurt by people, they forgive. They are great teachers. Loving animals makes us people into better human beings as we learn compassion and unconditional, true love. In Japan, especially in big cities, pets are replacing human babies. Compared to even five years ago, the number of dog carts on the streets increased tremendously. People push their dogs and sometimes cats around town in cute carts, very similar to those used for babies. Pets are family members and for many Japanese, the only child they will ever have so they pamper them as much as possible. Pain is not managed well in Japan. Japanese people have, or at least supposed to have the samurai spirit so in our culture we are supposed to gaman, meaning “ to endure suffering with patience and dignity”. This philosophy is of course has its beauty but when it comes to physical pain, gaman alone is not enough. When it comes to animals, who are often silent when in pain, we must use even more care to make sure they don’t suffer. Omotenashi is the essence of Japan but rarely implemented in health care. It’s well-developed in the hotel industry where the staff do their best to anticipate the guests’ wishes. That’s our goal: to provide wonderful service. We should not only cure the itch, so-to speak, but find it, even before our patients feel it. For me, having my own small clinic is such an achievement and great source of happiness. I worked in a big animal hospital in Japan for eight years. We had forty staff members, including twelve vets. By Japanese standards, this was a huge hospital that had expensive machines such as MRI & CT scanners that most clinics can never afford. I was the second in charge and my life and career was guaranteed. But something was missing: the freedom to do things as I wanted to. Some diseases may be prevented but timing is everything. We know from many years of data collection that there is a strong correlation between the timing a female is spayed and breast cancer. If a dog is spayed before her first heat, her chance of developing mammary gland cancer is 0.05 %. If the operation is performed after the first and before the second heat, the cancer risk is 8 percent, and after the second heat, the number jumps to 26 percent. Since about 50 percent of mammary gland tumors are malignant, it is very important to spay females early on. Euthanasia for both people and animals should be a topic of national discussion. In Japan, euthanasia for people is illegal but for animals, if they are in severe pain and have no chance of getting better, it is allowed. However, Japanese people are generally very much against putting their pets to sleep. The topic itself must be avoided at all cost so vets never ask owners if they would like to shorten the suffering of the animal by opting for euthanasia. If I were to ask, I’d be considered a monster and would lose my patients. This is because Japanese want their pets treated exactly like humans so they expect doctors to elongate their lives as much as possible. This means performing surgery and trying out various medications in the hope of curing the ailment, even if not much hope is left for a good result. Of course, at the end all we can do is provide pain killers and drips and let nature take its course. It’s often a heartbreaking process but most Japanese people feel that true love means staying by the side of their beloved pets till the very end. But when I worked in the US, we performed euthanasia very often as people there expressed their love for their pets by not letting or seeing them suffer. Most Japanese people have “island mentality” which means that it’s hard for them to communicate with others. They often feel anxious when meeting new people and naturally their pets display the same psychological problems. This might explain why in Japan dogs usually walk with their owners, instead of playing with each other. Animals are loyal to their human companions until the very end. Many dying cats and dogs wait for the people they love to return before they draw their last breath. This may take days or even weeks. Once their beloved person is by their side, they pass away in peace, often within minutes. Veterinarian Chikao Muratani with two puppies, photographed by Judit Kawaguchi.